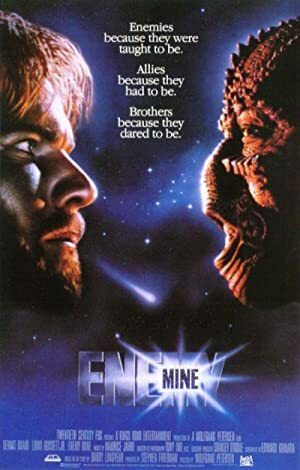 Enemy Mine (1985) – What's New on Netflix Canada Today! A soldier from Earth crash-lands on an alien world after sustaining battle damage. Eventually he encounters another survivor, but from the enemy species he was fighting; they band together to survive on this hostile world. In the end the human finds himself caring for his enemy in a completely unexpected way.